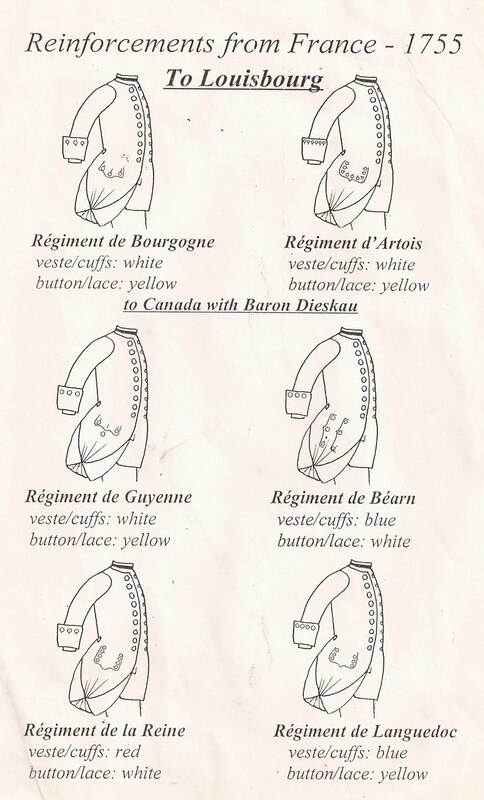 This would be more interesting if I could speak French. A few posts investigating what's out there for the F&I and Revwar. 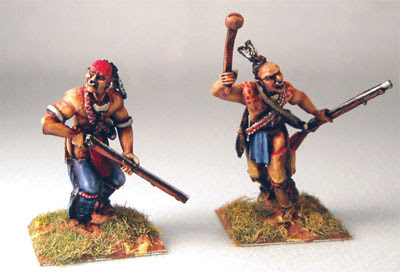 I like the look of the Sash and Saber F &I figures - I'd like to see more photos of them - this blog has some detailed photos of the Indians (see pic for example). 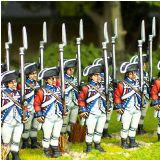 They are impressive...makes me want to see what the French marines are like - any of you know? Image from Lead Gardens blog. So what do you think about 40mm? Expensive or impressive? Or both . 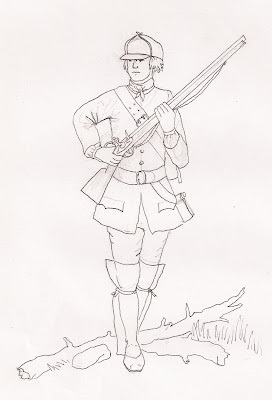 Also see blog piece about the F&I with Irregular traditional toy soldier style. 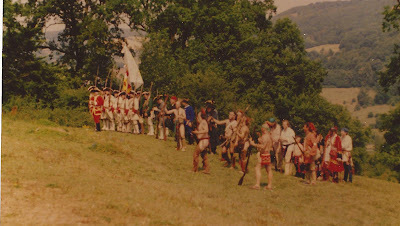 I like this picture - its taken by my house and it is from the first ever get together in 95 when we formed a French and Indian war group. How did it come about you ask? 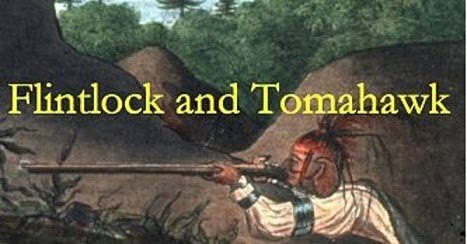 Well first I put out adverts in places like magazines and also around the Buckskinning community (as that was where the all important Indians lurked) and organised a get together weekend at my place. We went for a walk to take some photos and on the Sunday we had our inaugural meeting where even more people (to my wife's slight annoyance) turned up to get things going. The photos we took that weekend were useful in getting events. 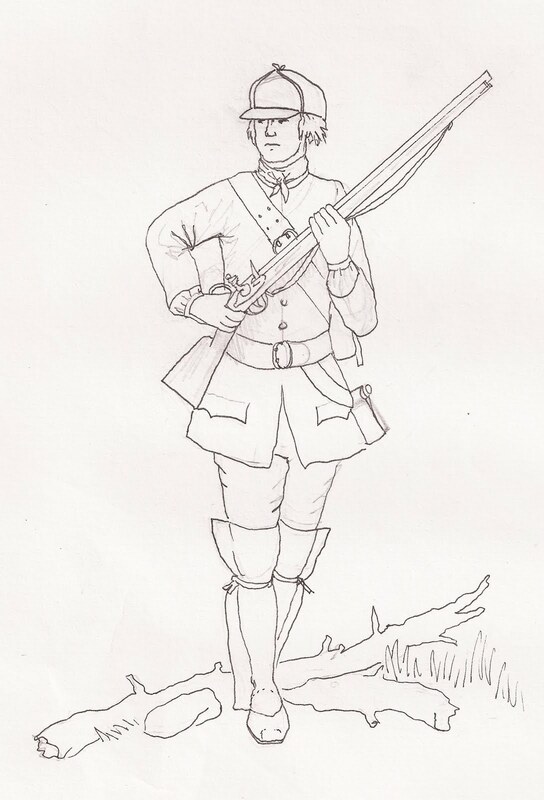 I found the drawing that was used by Seven Years War Inc as their logo - here it is rescanned in all its glory. Lace wars Group at Keddleston Hall june 2011. Thanks to Kyle of the 29th foot for telling me about this. 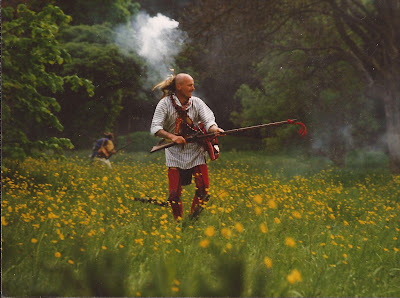 The 8th Foot reenactors in the states just posted videos demonstrating the results of their live fire experiments at 100 and then 60 yards. 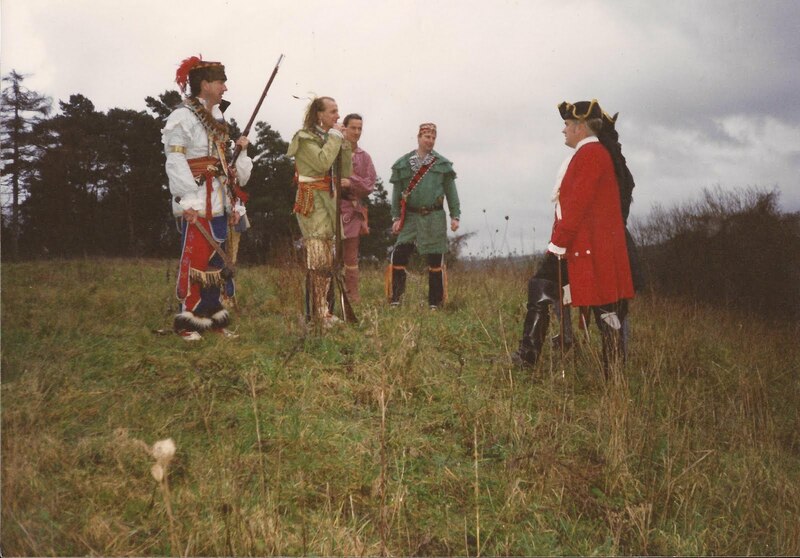 Somebody uload Fallen Timbers onto Youtube! This will have to do until then. Pic by me from a few years ago showing the sleeved waistcoat look that can be done as a smart start. Thinking about it now I think maybe the sleeves should have cuffs on them. 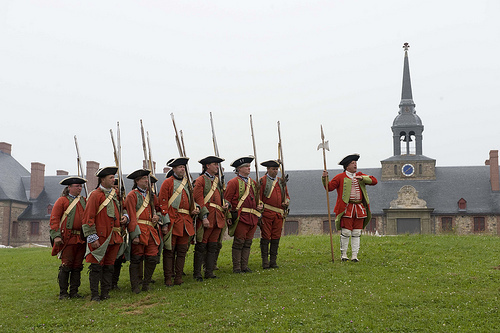 Interesting clip about the centennial celebrations of this battle. 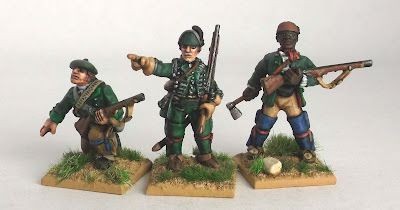 Thanks to Thomsomfeld for finding these new masters for forthcoming British AWI 1/72s. The contents of some of the sets are not yet confirmed, but details can be found on our Future Releases page. 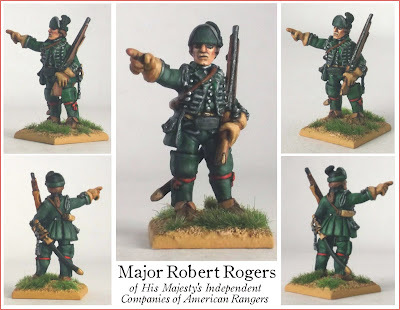 Also we have posted a preview of the Rogers Rangers set on the BUM listing page. The group are still going - check them out at the Lace Wars website. Here's a picture of my pals the 36th at the first Bath event. 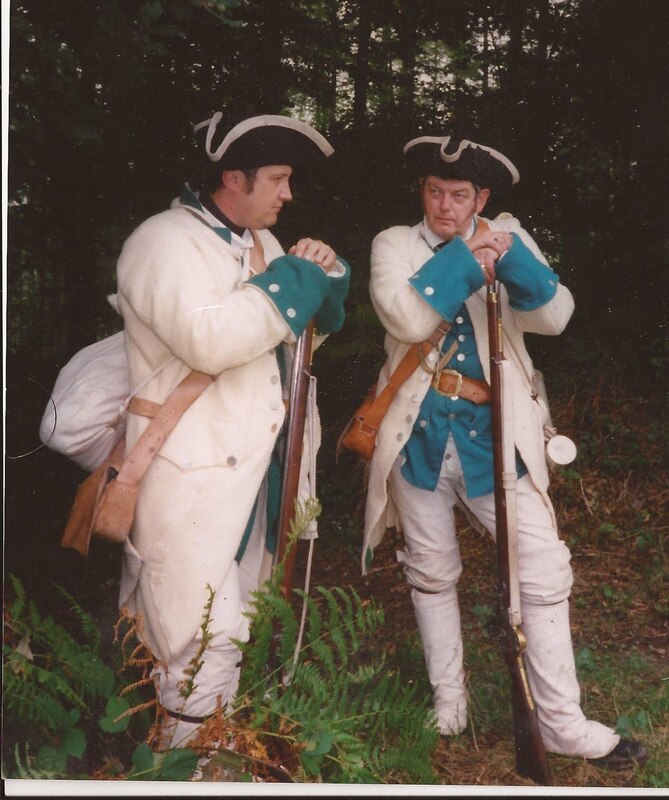 They have their brand new waterbottles brought over from the states by Joe Northrop from Indiana and his crew of 60th reenactors. Here's another image by me from the same era - this was done for the 36th regiment of foot's webpage. 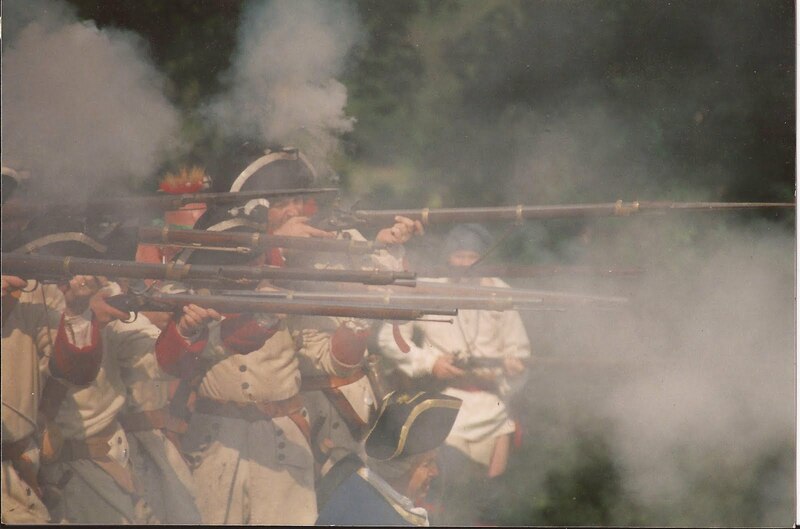 Seven Years War Inc. from Michael Kladky on Vimeo. 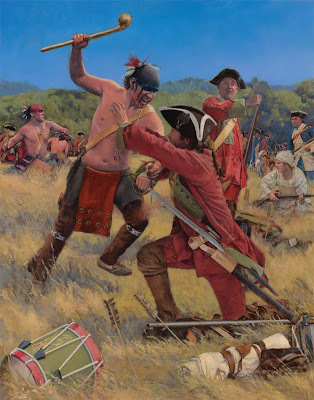 If you live in the midwest of the USA and love the period then you should get involved with this group - like their Facebook page and look at the photos. I am of course biased as it uses for its logo a picture by me! Apologies if you have seen this before but it's a well-made film on the Siege of Louisbourg and the events that followed it. I think this now out of print classic is worth having even if the information might be a little out of date. 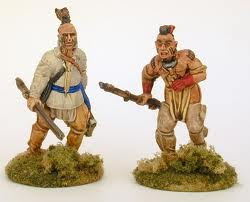 The figures are superb and of course nostalgia being what it is it was once the book on the French and Indian wars to have. Sadly the companion volume 'Montcalm's Army is not so good but there was a time when these two titles were all there was for visual reference for the F and I. 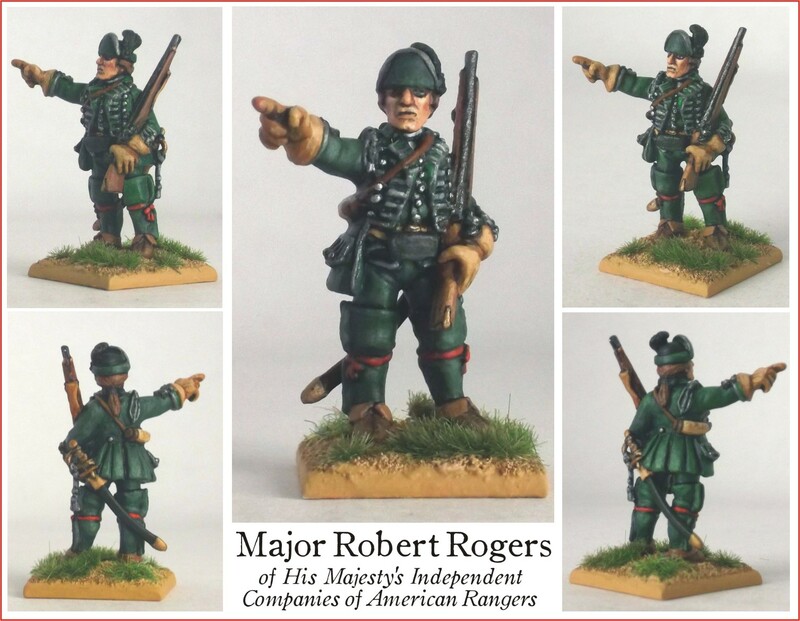 So Italian plastics manufacturer Waterloo 1815 (one of the worst names to try and Google methinks) has announced that a set of Rogers Rangers (035) are imminent. (Pic is nothing to do with it other than that's my guess as to what they'll be like). Anyone seeing anything about this let me know. 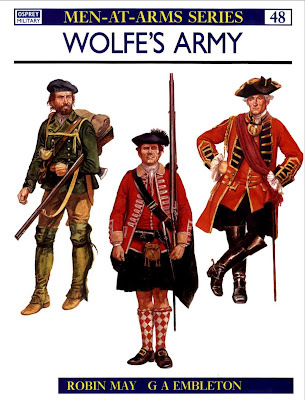 Incidentally if any of you want 1/72 late 17th century figures check out Uwe's blog. This battle of the Revolution took place today. 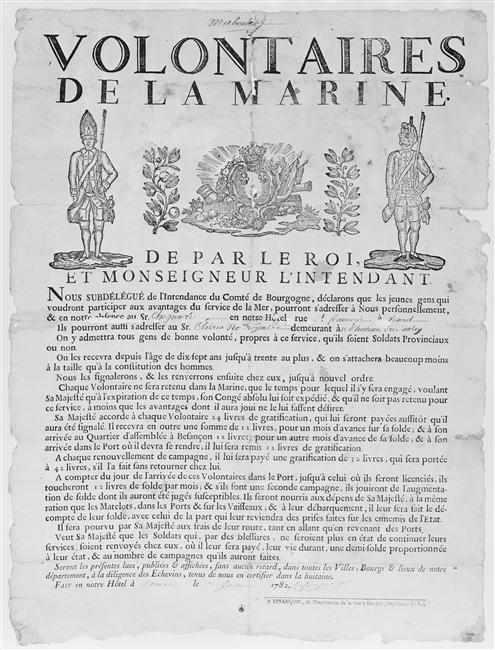 Wiki here. 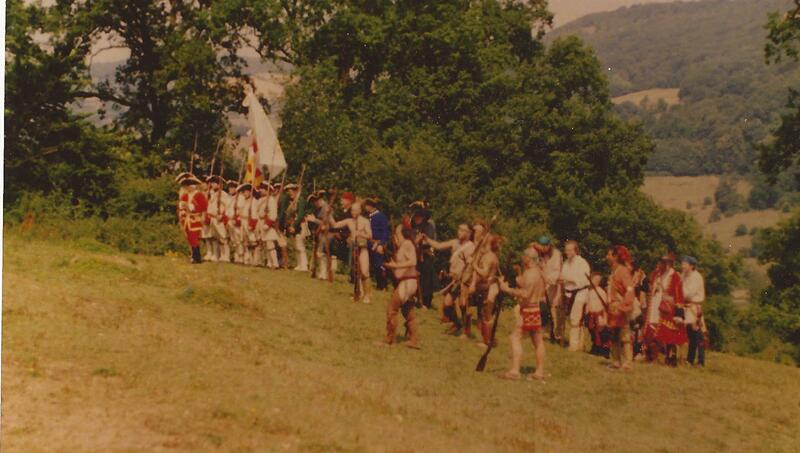 One of the units which took part was the 47th Foot which is recreated in the UK - website here. 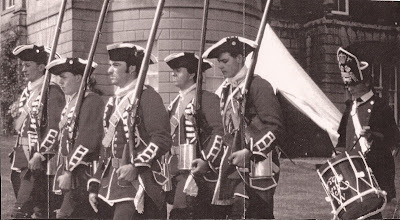 You may have seen these photos before but they're better scans. 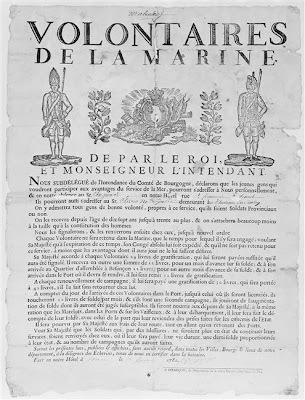 Here's de la Reine letting rip. As you can see I am having a bit of an attack of the scanners - raiding my old publicity photos from NF&OE. 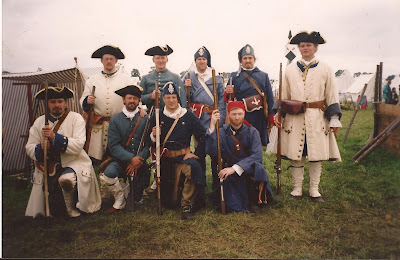 Here is me on the right with my Marines - the unit is still going if I am correct. 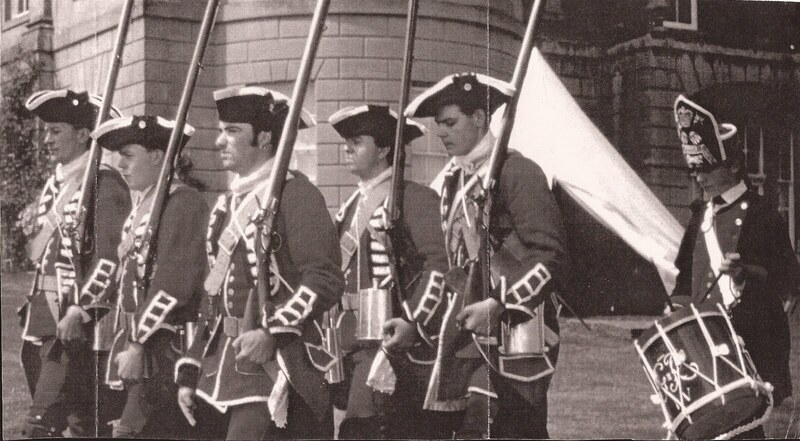 One of our best units in the early days of NF&OE - UK's F&I society was this group from Wales. Here is a pose recreating an ambush. Note the red cloth tied to the barrel. This image of Chikala from the late 90s is from my box of old photos. I have painted a few F&I forces in this scale a few years ago. 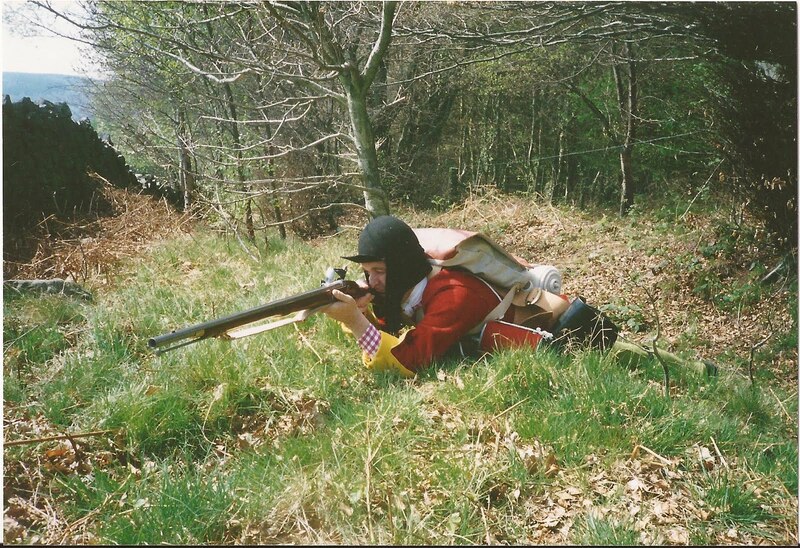 I used the Freikorps 15 range augmented by some Essex 15s. These days Blue Moon (pictured - here in the UK) have what looks like the tastiest looking ones but I would be interested in hearing what you all use? 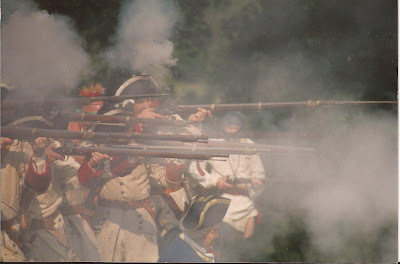 Haven't had much reenactment this year but this is a recent upload - the setting of the action is spectacular and although the action is a way away this is a worth watching video. 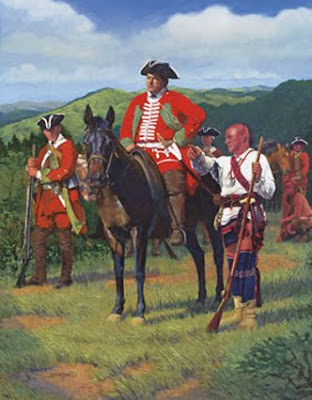 Also known as Beausoleil was an Acadian partisan. 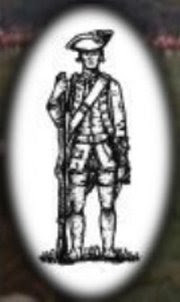 Not as famous as Robert Rogers but certainly worthy of our attention and respect. 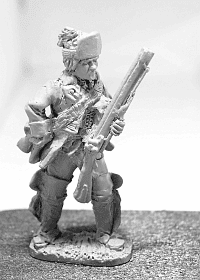 28mm personality figure by Galloping Major. 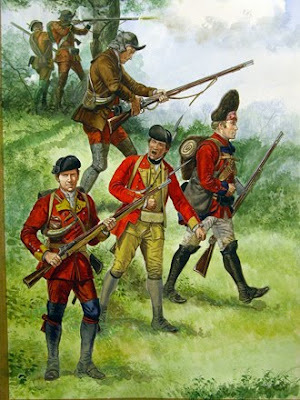 This is an excellent new blog on the subject of the type of partisan that created Empires. 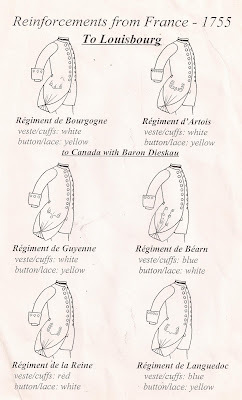 Been looking on the internet for information on these important colonial troops but not having much luck so I thought maybe someone might know. Were they uniformed? 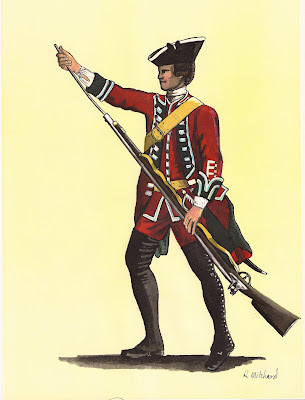 Armed with firelocks?